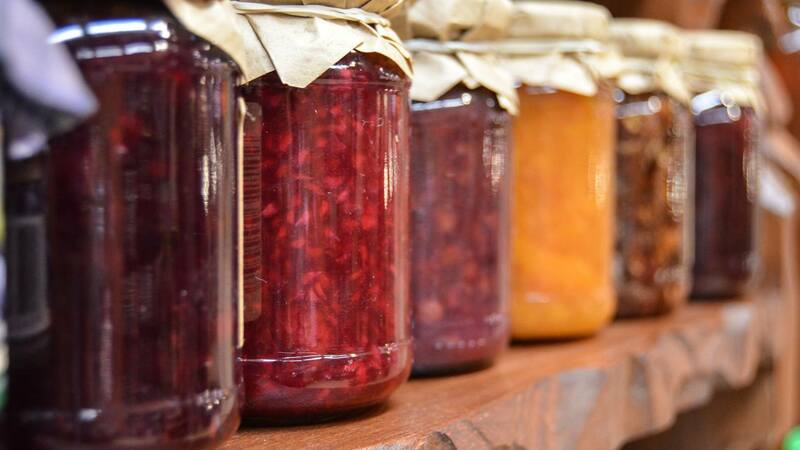 This class will cover canning safety, water bath canning basics, general canning procedures, as well as offer attendees the chance to gain hands-on canning experience. Space is limited and registration is required. The cost is $20 per attendee; however, this registration fee will include instructional handouts, canning recipe resources, and a jar of what we can in class. (Please bring cash or check with you on the day of class; we will be unable to process cards at that time). To learn more or to register for the class, please contact Sandy Stoneman at 276-223-6040 or sandyst@vt.edu. 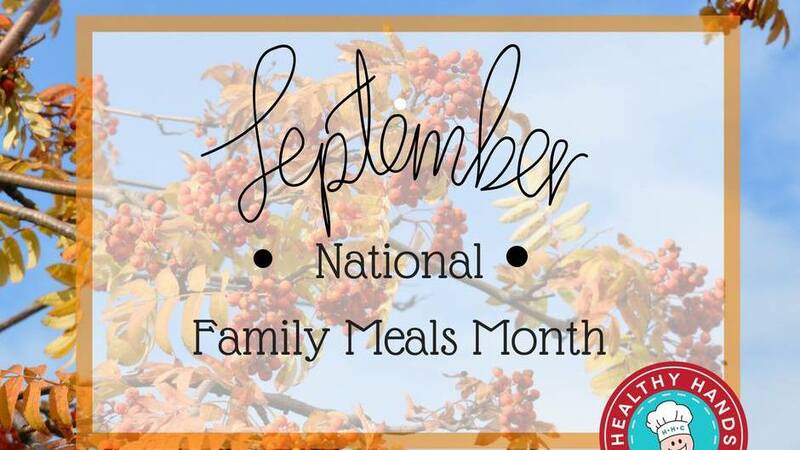 September is National Family Meals Month! Join certified Instructor Sara Kennedy in this Healthy Hands Cooking Class on making a simple and healthy dinner meal. This can be a parent/child class, or a fun cooking class with friends! Come learn to cook delicious recipes together and have the recipes to make at home! Register today to secure a spot-only 10 spots in this class! 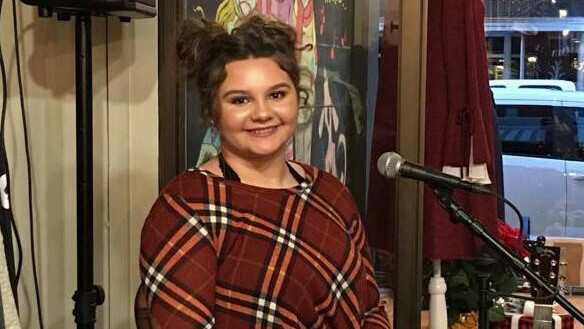 Join Blackbird Bakery to enjoy the powerhouse voice of local teen Rylee Peters from 7:30 pm to 9:30 pm! 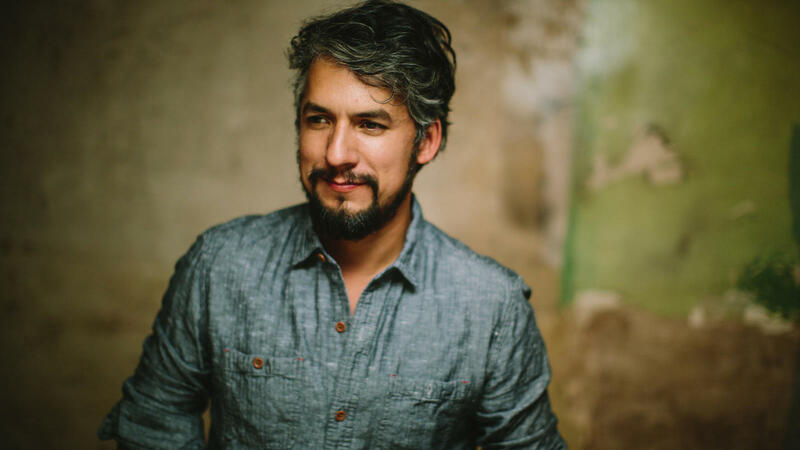 Kick Off Bristol Rhythm & Roots Reunion with Cruz Contreras of The Black Lillies! An intimate concert in the Performance Theater at the Birthplace of Country Music Museum. Click here to purchase tickets. 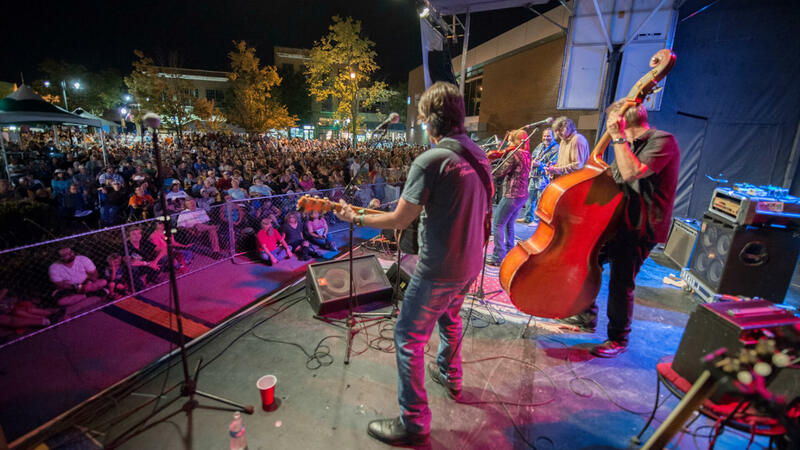 The award-winning Bristol Rhythm & Roots Reunion music festival celebrates 18 years September 21-23, 2018 in Historic Downtown Bristol, VA-TN, the birthplace of country music! Bristol Rhythm isn’t just a music festival. It’s an infectious, three-day music experience, bursting with creative passion, electricity, and soul. It’s an annual celebration of Bristol, VA-TN’s rich history as the place where the 1927 Bristol Sessions recordings created the “big bang” of country music; they were the recordings that brought early country music to the mainstream and were the first recordings of The Carter Family and Jimmie Rodgers. The influence of the 1927 Bristol Sessions can still be heard in the soundtrack of today. It’s the roots and far-reaching branches of those seminal recordings that fuels the lineup of each Bristol Rhythm & Roots Reunion. 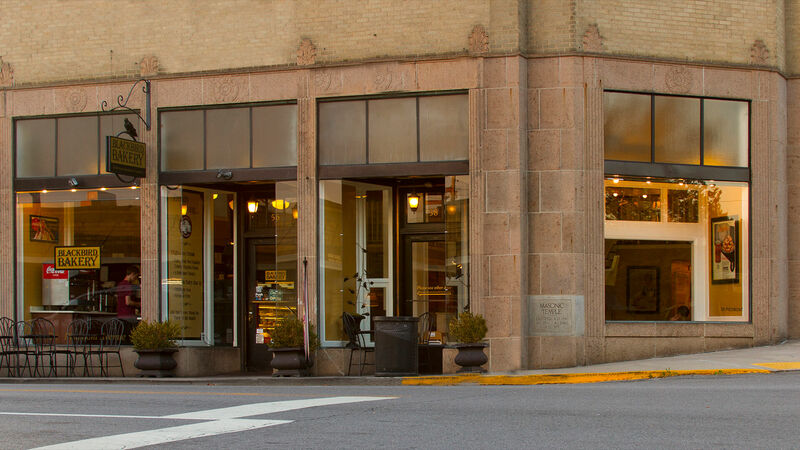 Bristol Rhythm & Roots Reunion takes place in Historic Downtown Bristol, VA-TN on State Street and the surrounding area. Located on the Virginia and Tennessee border with 20 outdoor stages and indoor venues and more than 120 acts of live music, Bristol Rhythm takes visitors on a journey through Appalachia’s musical past, present, and future. Click here to learn more or purchase tickets. Join us for special screenings of “Born in Bristol: The Untold Story of the Birth of Country Music” during Bristol Rhythm & Roots Reunion. 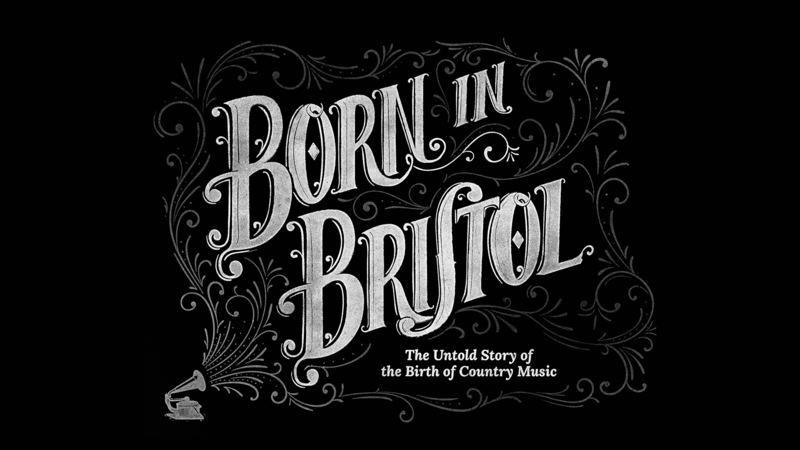 Starring Dolly Parton, Vince Gill, Eric Church, Steve Earle, Marty Stuart, Sheryl Crow, Doyle Lawson, Eddie Stubbs and more, Born in Bristol is a docudrama that explores the impact of the 1927 Bristol Sessions and its lasting influence on the soundtrack of today. Filmed on location in the Bristol region and Nashville, Born in Bristolwas directed by Chusy Haney-Jardine of Plan A Films and produced by the Tennessee Department of Tourist Development with support from the Virginia Tourism Corporation. Born in Bristol received shortlist consideration at the 2016 Cannes International Festival of Creativity. 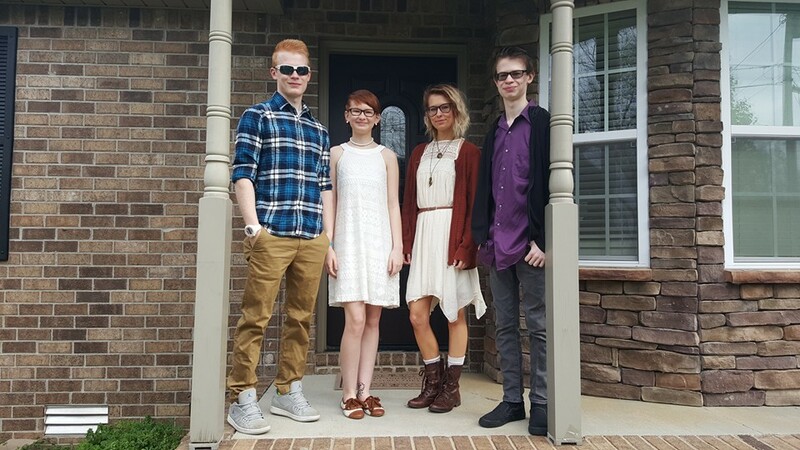 This all sibling group combines acoustically driven music and sweet family harmonies to create a sound that can only be found through shared DNA. They infuse multi-genre influences into every song they create; resulting in an organic sound resembling The Lumineers meet FUN. 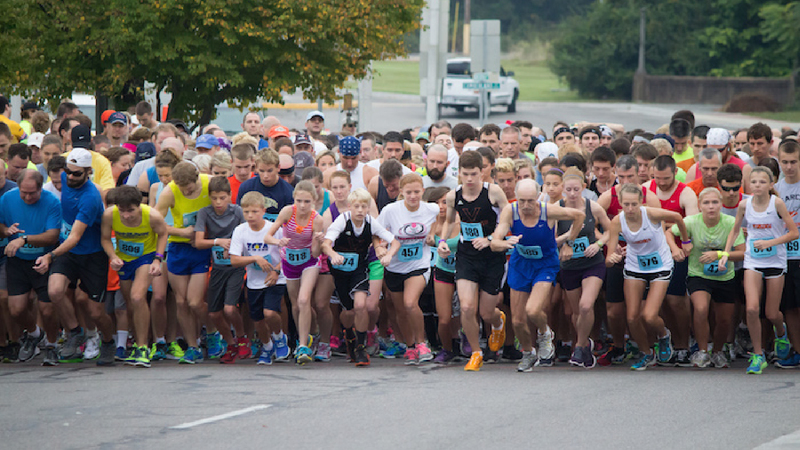 This is the official 5K Race of the Bristol Rhythm & Roots Reunion Festival. This event is run overseen by the professional race management team atWe Run Events. Each participant receives a Bristol Rhythm 5k t-shirt.The top 3 in each category get a medal. Runners and walkers can choose to purchase a festival ticket at a highly discounted fee. You can choose to run or walk the 5K.Please note the 2K Fun Walk will not take place this year. All walkers are encouraged to register for the 5K. All runners and walkers will be timed. Preregistration Closes at 9:00pm on Thursday, September 20. Awards for the 5K will be given out immediately following the event. Race day registration is from 6:30am to 7:30am. All racers will meet at Anderson Park at the intersection of Anderson and Martin Luther King Blvd. 5K starts at 8:00 a.m. Registration Details: This year, we are offering three registration options. Bristol Ballet will perform September 22 at Anderson Park was part of Bristol Rhythm & Roots' Children's Day. Visit their table to play the ballet balance game! Dancers will perform two numbers from Alice in Wonderland and one fun, upbeat piece from the original production of Unbroken Circle, Bristol's Music in Motion, at 10:40am. Children’s Day at Bristol Rhythm & Roots Reunion is a free event, open to the community, and organized by staff at the Birthplace of Country Music Museum. Bursting with fun games, crafts, and performances, Children’s Day is designed to be an event the whole family can participate in together. 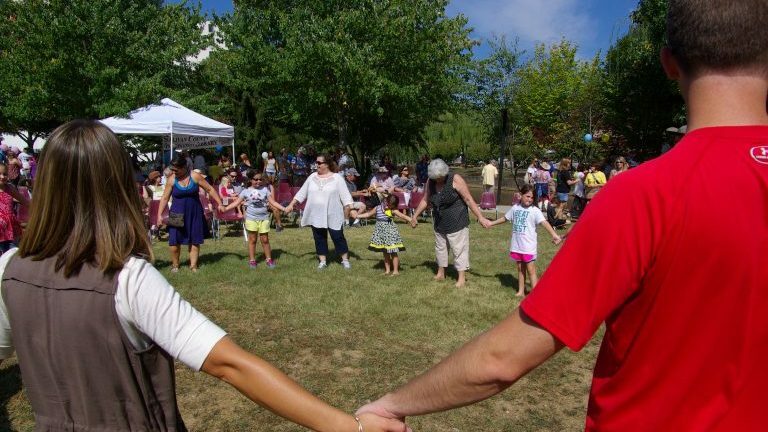 A staple at Bristol Rhythm, Children’s Day is made possible by dozens of volunteers and community nonprofits, organizations and businesses who provide a vast array of fun and creative activities for everyone to enjoy. An effort is made by everyone on the planning team to make learning at Children’s Day fun, with families working side-by-side creating art, dancing, and making memories to last a lifetime. Also, don’t forget to bring a book for the Junior League of Bristol’s Book Drive to support Free Little Libraries. The event will end with a fun Foam Party. 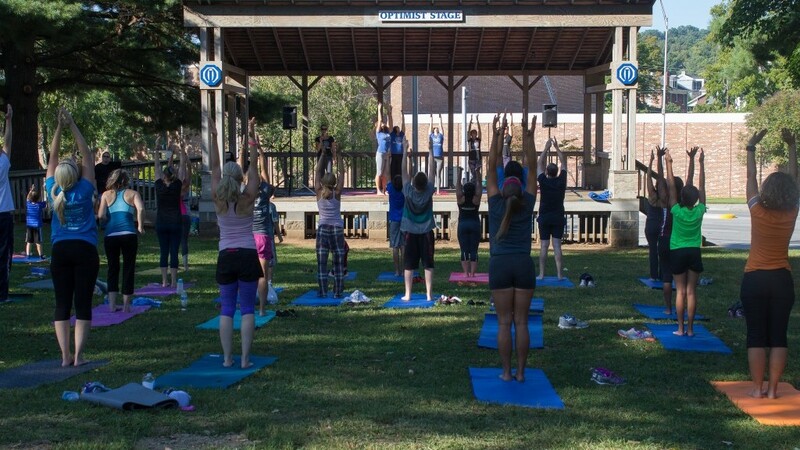 JoinBristol Yoga for yoga in the park. Bring a mat, your zen, and we’ll do the rest. It’s a beautiful way to start your day! Festival Wristband is required to attend the event. Cumberland Square Park is located on Cumberland Street, at the corners of Lee Street, Moore Street, and Scott Street. Join us at Blackbird Bakery for a swinging good time with The Swing Band from 8:00 pm to 10:00 pm! It’s a special Bristol Rhythm & Roots Reunion edition of Radio Bristol’s vintage variety show Farm and Fun Time! Special musical guests includeDale Watson & His Lonestars,Ruen Brothers, andThe War & Treaty! This is a must-see festival set, so get there early! Must have a Bristol Rhythm & Roots Reunion festival wristband for entry. Hosted by Kris Truelsen and featuring musical breaks by house bandBill and the Belles, the program also features the Appalachian Sustainable Development Farm Report, a recipe segment, and much more! 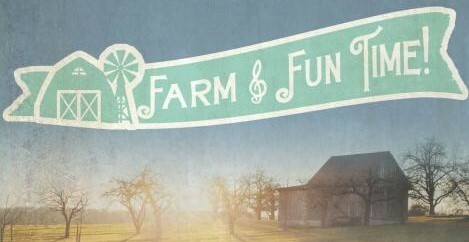 Radio Bristol Presents: Farm & Fun Time is a revival of WCYB radio’s Farm & Fun Time show which broadcast live from a studio inside the General Shelby Hotel in downtown Bristol. In the 1940s and the 1950s, Farm & Fun Time was an important program in the history of early bluegrass music and helped to establish the careers of legendary performers including Lester Flatt and Earl Scruggs, the Stanley Brothers, the Osborne Brothers, Jim and Jesse McReynolds, Mac Wiseman, The Sauceman Brothers, and Curly King & The Tennessee Hilltoppers. Can’t be at the show? Tune in toRadio Bristol’s Facebook Liveto watch the program on your smart phone or at home. Not convenient to watch? Tune in to 100.1 FM in the Bristol area or log on toListenRadioBristol.org. Radio Bristol is also available through the station’s free mobile app. Bristol Station will provide an encore once the Bristol Rhythm and Roots Reunion comes to a close on Sunday, September 23. 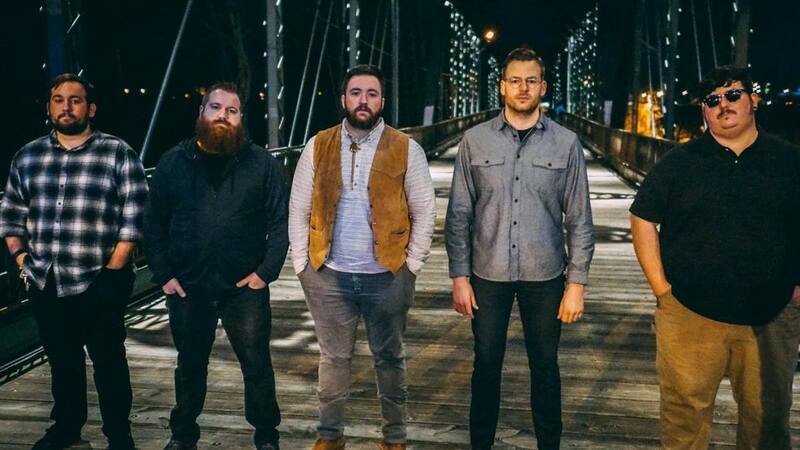 Jordan Allen & The Bellwethers is an Americana-Folk group that blends the musical stylings of the banjo, acoustic guitar, cello, and bass guitar. Their love and appreciation for the classics and the originality of their songs are sure to keep you singing and dancing the whole night through! It's a great opportunity to catch up with friends, enjoy some award-winning craft beer, and keep the weekend going! The Black Jacket Symphony: AC/DC "Back in Black"
Bristol Ballet presents "The Nutcracker"
© 2009 - 2018 Believe in Bristol. All rights reserved.